This month my husband’s aunt Betty died of complications due to liver cancer. By the time she found out she had liver cancer, it was stage 4. We were shocked by how quickly we lost her to cancer. She was also a survivor of polio and breast cancer. She was successful in work life, a kind aunt, and strong woman. We lost her too soon. I hate cancer. I’ve lost too many people in my family and my husband’s family to this dreadful disease. I am thankful that I know the Lord, that I understand this world is not our final home, and I have hope to see those who died in Christ again, including Aunt Betty. So in honor of Aunt Betty, I’d love to share verses in the Bible that can give hope. We need more hope Bible verses, don’t we? II Corinthians 4: 16 – Therefore we do not lose heart. Though outwardly we are wasting away, yet inwardly we are being renewed day by day. Matthew 11: 28 – Come to me, all you who are weary and burdened, and I will give you rest. Deuteronomy 31:6 …Be strong and courageous. Do not fear or be in dread of them, for it is the Lord your God who goes with you. He will not leave you or forsake you. Colossians 1: 11 – May you be strengthened with all power according to his glorious might so that you may have great endurance and patience. Psalms 55:22 – Cast your cares on the Lord and he will sustain you; he will never let the righteous be shaken. Isaiah 40: 29 – He gives power to the faint, and to him who has no might he increases strength. Proverbs 3: 5,6 – Trust in the LORD with all your heart, and do not lean on your own understanding. In all your ways acknowledge him, and he will make straight your paths. Psalms 138:3 – On the day I called, you answered me; my strength of soul you increased. Lamentations 3: 22 – Because of the Lord’s great love we are not consumed, for his compassions never fail. 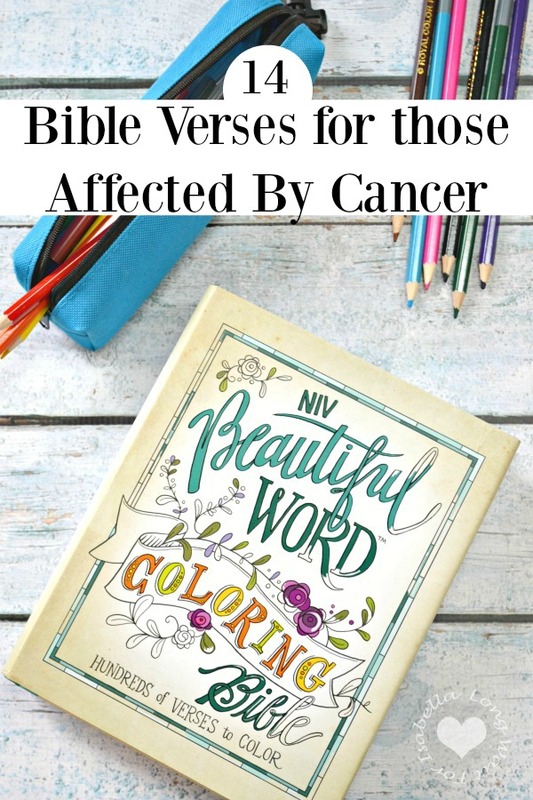 These are the best Bible verses, for those affected by cancer, I could find this week. But I know there are so many more good Bible verses that you could share with me. Please give me more in the comments below. 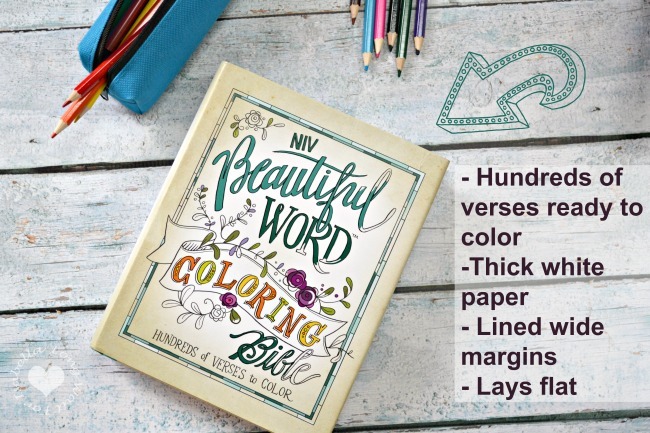 A great gift for those currently affected by cancer is the NIV Beautiful Word™ Coloring Bible. 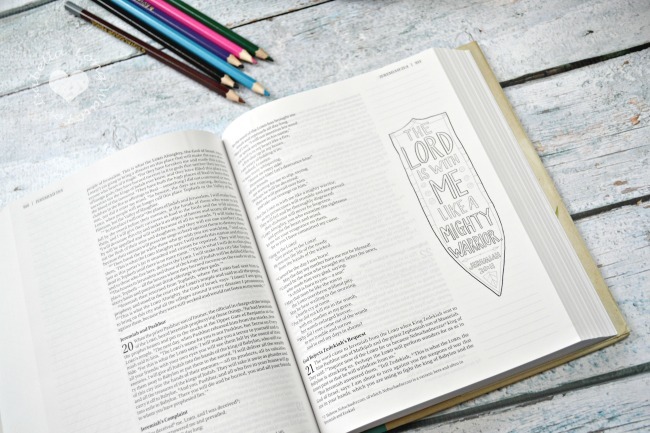 This Bible employs the proven stress-relieving benefits of adult coloring to help quiet your soul, so you can reflect on the precious truths of Scripture. Perfect for all ages, the thick white paper with lightly ruled lines in the extra-wide margins, provides ample space for your own artistic expressions and journaling. 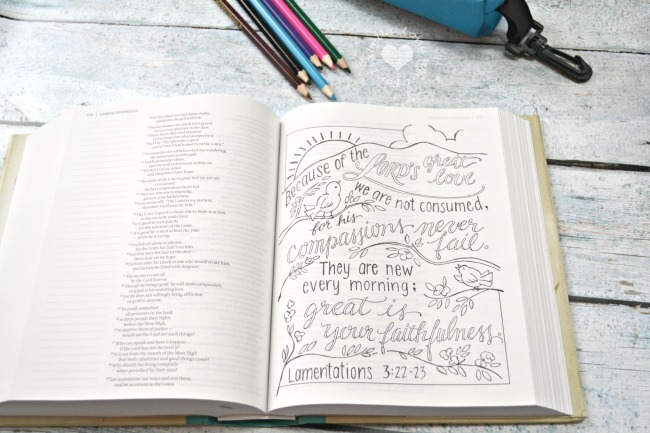 Stress-relieving benefits of adult coloring paired with Scripture.